Portland Patios | Portland Decks | Keith Green Construction, Inc. 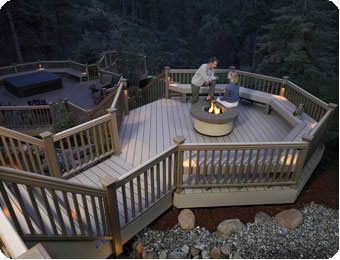 Expand your outdoor living space with a lasting, beautiful decking system. 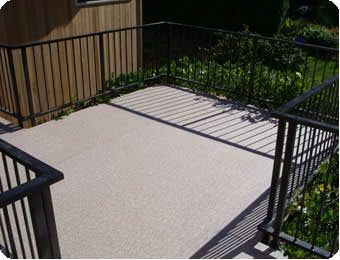 Keith Green Construction has researched Portland patios and decks that provide the necessary waterproofing qualities required for the Northwest. To find out more about our Portland patios and decks, please contact us today. During the summer, leisure time becomes synonymous with outdoor time. With a few key adjustments, you can have the kind of outdoor space that lets you feel at home, outside. In this post, discover 8 patio living options to make your summer sizzle. Keith Green Construction installs the Guardian Series Vinyl Deck Membrane by DecTec™, offering tough, durable deck protection for your outdoor living spaces. Augment the beauty of your deck with a waterproof, safe and practical railing system by TimberTech®. Keith Green Construction recognizes the quality in production and longevity of TimberTech's composite railing, proudly offering it to our clients.